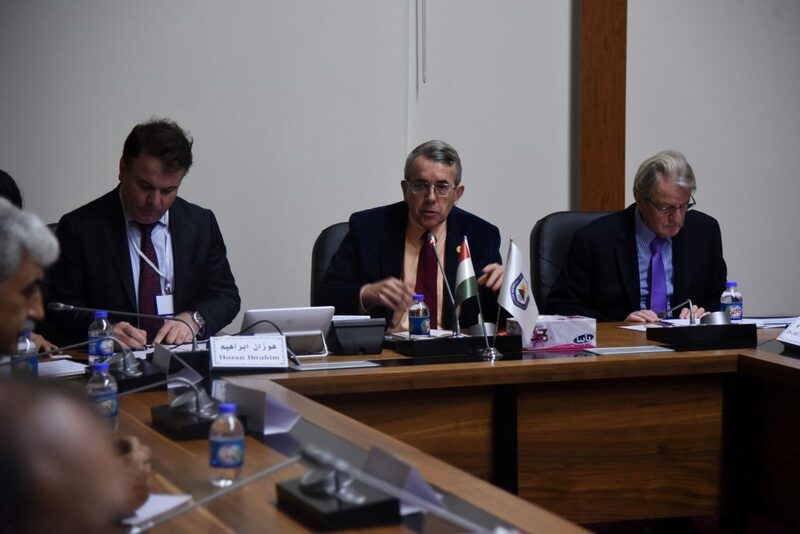 Duhok, Kurdistan Region of Iraq – December 2nd, 2018- the American University of Kurdistan (AUK) in cooperation with the EastWest Institute and IMPACT organization for civil society research and development, held the experts and local civic workers meeting focused on discussing the region’s pressing issues and identifying possible solutions on Northern Syria/Rojava. The two days meeting featured key personalities, academics and activists from Syria and the diaspora. This meeting was held on Saturday and Sunday, the 1st and 2nd of December 2018 at AUK and focused on proposing practical and new approaches to the intra-Kurdish and Kurdish- Arabic dialogues and the challenges facing development in northeastern Syria. It further discussed the potential for building a strong and inclusive administration that adheres the principles of good governance while taking into account the role of Syrian communities in neighboring countries and Europe. IMPACT- Civil society research and development, is a civil Society organization based in Berlin, Germany that operates mainly in the Middle East and Europe and sponsors and supports civil society through research, capacity building and networking. The organization has been working in Syria and neighboring countries since 2015, and has been holding several meetings between experts and Syrian public workers from various backgrounds to discuss the most pressing challenges facing the northeastern Syria region highlighting social, developmental and political standpoints. IMPACT also aims to raise awareness among various groups of civic players regarding the most pressing issues facing the region in an attempt to find practical and creative solutions to respond to these crises. The EastWest Institute is an American organization that focuses on resolving conflicts since 1980 and had on many occasions sponsored many conferences and agreements, from leading discussions between the United States and the Soviet Union to managing dialogue between Saudi Arabia and Iran.